Note: there is a daily post every night except Friday and then there’s a longer post on the weekend. They’re organized as the most recent entry nearest the top. 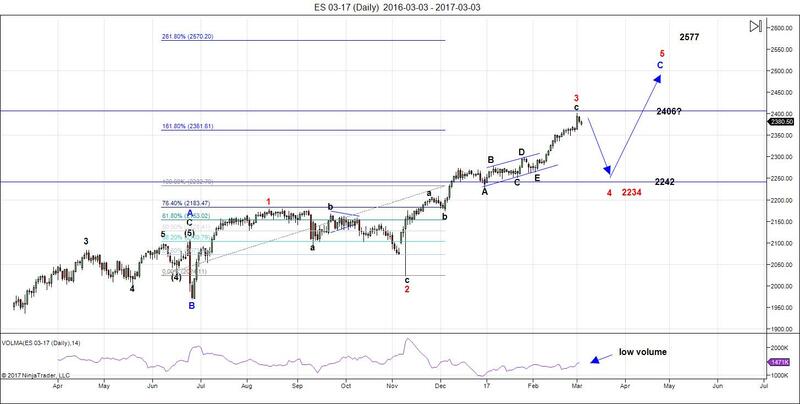 Above is the 60 minute chart of ES showing the ABC and then ending diagonal down, an a wave up and a be wave complete on the downside to about 62%. The next wave up (the c wave) seems to have already begun. At 1.618 X the a wave, it should take us to a new high at 2400. It’s a little early, but as I’ve been saying, I don’t know what else to call this structure heading up but the start of an ending diagonal. All the waves so far are in 3’s. I waited a bit tonight to see the top of the wave up is ES from this afternoon. Note: the dates in this video are incorrect. It’s for Wednesday, the 8th but I say the 7th. NOTE: From here down is the weekend post that starts each week. The recent past in the markets on a small scale has frustrating, particularly in some USD currency pairs. 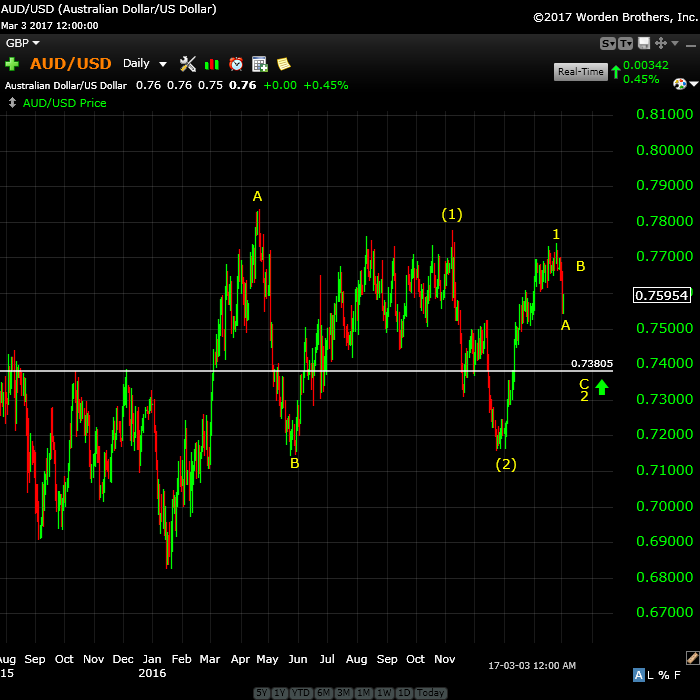 AUDUSD, for example, has been “all over the place,” which I attribute to the markets getting close to a major turn. Assets across the board are turning more or less in sync, so some of them “mark time” while others trace out the ends of their respective waves. There are some really good opportunities coming on line this week, as the markets go through a major turn. 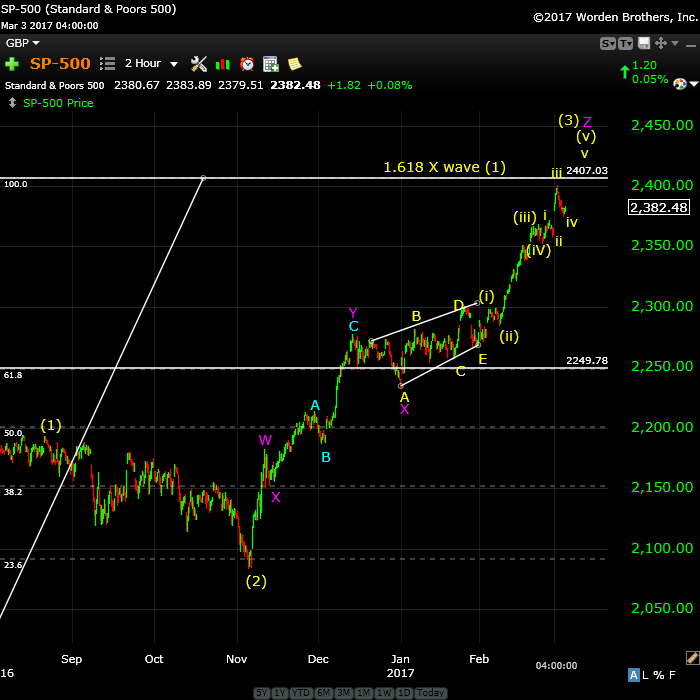 Last weekend, I thought we had a top forming in wave 3 in SPX/ES. However, the first wave down never did materialize. And that was what kept us safe. I keep hammering on the fact that the least risky entry after a turn is after the first wave has been confirmed and the market has retraced about 62% in a second wave. This is critical in assets such as gold, where the risk is quite high if you get in at the wrong point. The structure of the waves will keep us safe. Three waves in either direction are bound to retrace and so it’s important to wait for the correct wave structure and counts. It will be even more important once we hit the very top and turn down, as volatility will be high, with very large moves. It’s important to stay objective. Too many traders trade based on what they “think” makes the most sense logically. However, from a technical perspective, the market can very often signal something else is happening. Look at what the waves tell you is happening, not at what you assume is going to happen, based on the media, what others are saying, or your own inherent bias. In fact, on Tuesday this past week, just ahead of the time President Trump addressed Congress, the wave structure told us the US indices could go either up or down. That night, not all that much happened, but the next morning, the market headed up in a final fifth of the fifth wave of the Minor wave (3), which is the large wave up in ES and SPX from early November, 2016. The market told us to stand aside and wait for the signal. We’re very close to the top of this third wave. In fact, you’ll see an hourly chart below showing one more wave up in ES to about 2406. That should do it—the top of wave (3). Finally. EURUSD: Turned up on Thursday after a double bottom. Good example of a small degree five waves up and three down, and then a turn up into a third wave. 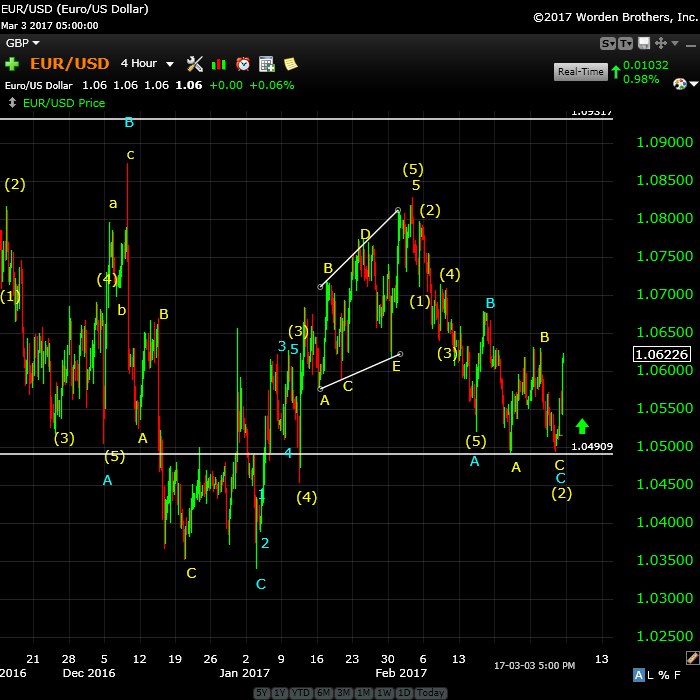 AUDUSD: Currently in the B wave of a second wave. It turned up on Friday, but it has another turn down to go (C wave) before turning up once again into the final wave up. 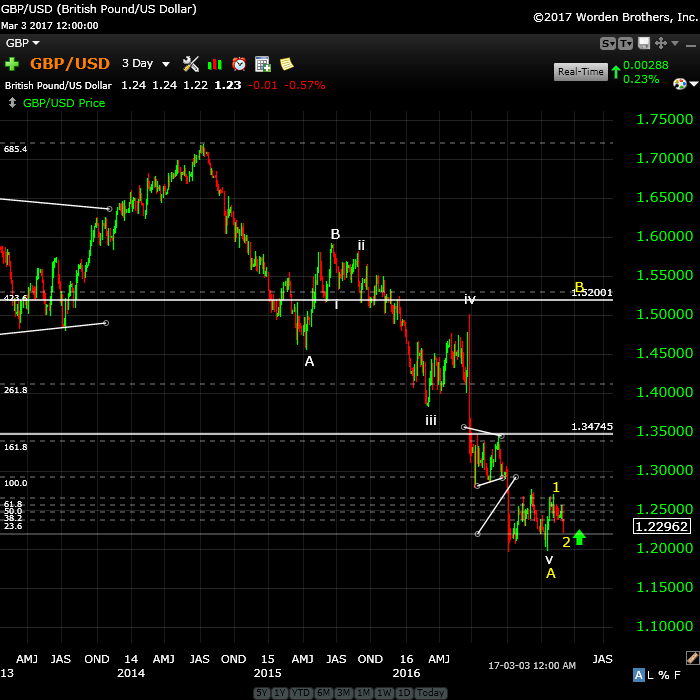 GBPUSD: This pair turned up on Friday after what looks like a second wave. This should put us in the final wave up, with a long way to go. However, the wave up so far is a ‘3,” so it’s best to wait to see what happens next. Don’t go chasing this one. 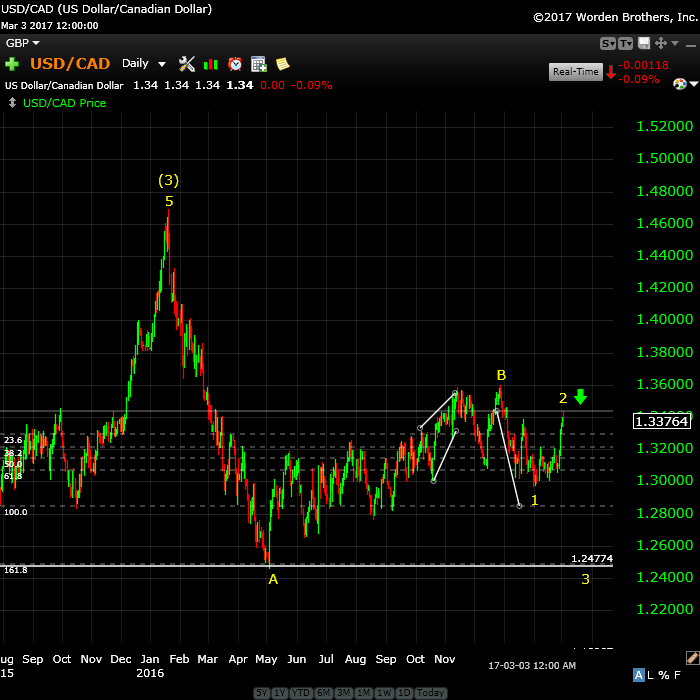 USDCAD: Turned down after an ending diagonal, which rose slightly past the 1.34 target (as ending diagonals usually do). This is a big shorting opportunity, with an eventual target of 1.19. 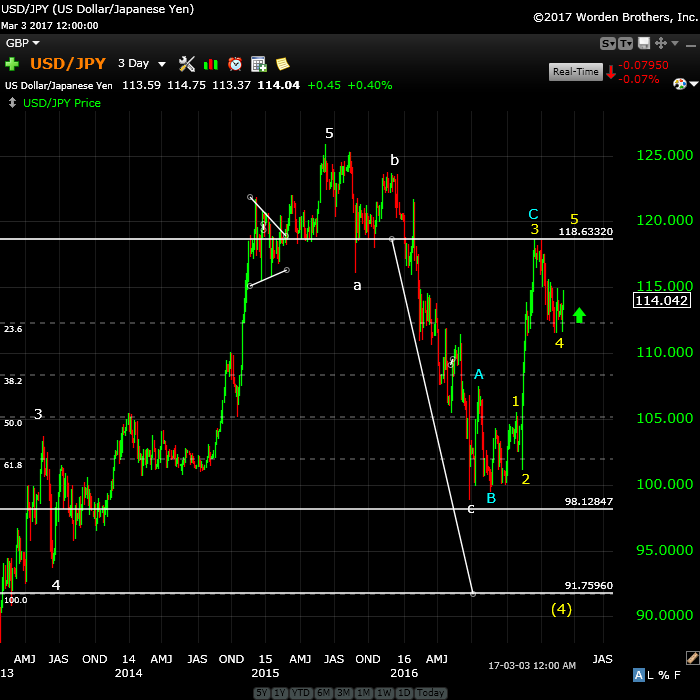 USDJPY: This pair started a turn down on Friday into a B wave, which should drop to around 62% of the wave up so far. Next week should start the C wave up. The US dollar has also changed course as predicted (chart below). In fact, all the assets I cover have been performing as predicted overall. Sometimes the subwaves leave a lot to be desired in terms of structure, but calls on direction (when its been predictable), have been consistent. The US market is slightly out of sync with the bulk of USD currency pairs but might catch up next week, with all assets eventually reaching a final top together. Above is the daily chart of ES. The full wave up looks to be like a triple three (a combination wave) which is almost at completion (or will be with one small final wave up to about 2406—shown in the hourly chart below). The final pattern of the triple three is now labelled as a very rare running triangle with a final motive wave as the final thrust wave. This would be the top of wave red 3. In high degree wave structures, the thrust out of a triangle can be a blow-off wave, and that certainly seems to be what we got. The 4th wave will come down in three waves. After we finish the A and B waves, we should be able to project an end to the C wave of the 4th wave. Once we finish the fourth wave , we’ll get a final blow-off wave. I’m making a point of not projecting a final date for a top because the volume is so low, the markets are so erratic, and they’re moving so slowly. Summary: We’re at the top of wave 3 of the final larger 5 wave pattern, ready to turn down into four with one more very small wave up to a new high. I expect all major US indices to turn this week. The larger wave 4 should come down in 3 waves (an ABC configuration to the target). 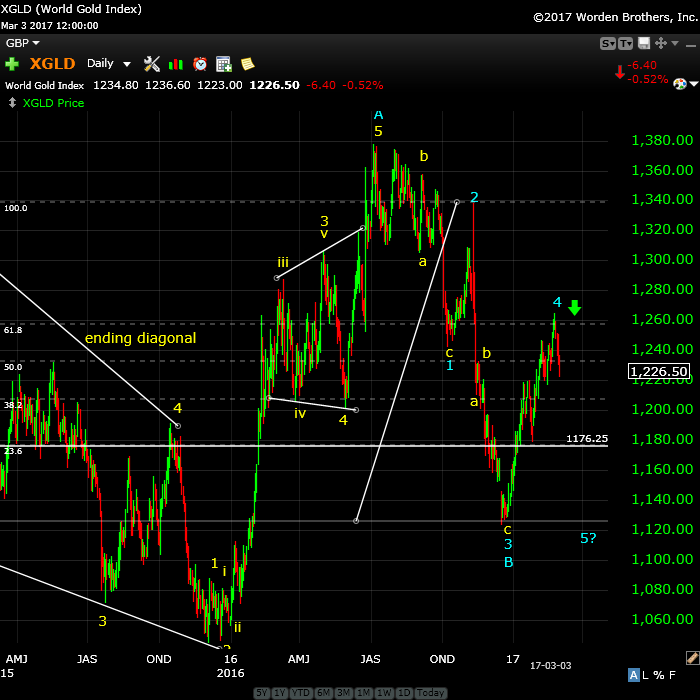 After completing the fourth wave, we’ll have one more wave to go, which could be an ending diagonal as a fifth wave. The long awaited bear market is getting closer. Above is the 60 minute chart of ES showing our progress to the end of the day on Friday (click to enlarge). We’ve rallied slightly at the end of the day, but not to new high. I expect a new high at to hit the target on Monday or Tuesday. 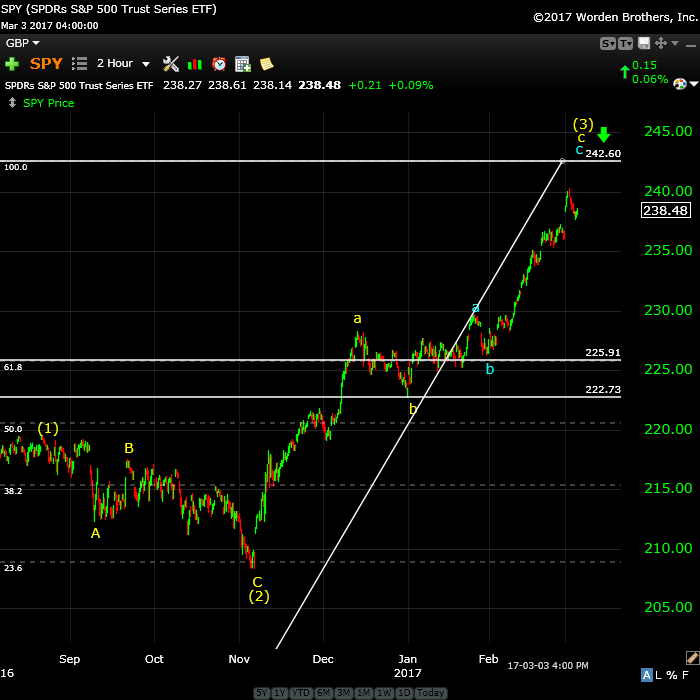 I’m projecting a high of 2406/7 for the top of wave 3. We have an Andy Pancholi turn date on Monday/Tuesday, and it affects both the US indices and USD currency pairs. Note: I spent some time going over the smaller degree charts in the SP500 and ES. Above is the 2 hour chart of SP500. There is one more subwave up, a “5th of a 5th” still to go before this wave tops out and heads down in a larger fourth wave. The target for the top is about 2407, while the very tentative target for the fourth (down) is 2249.00. Look for a turn down in the first part of this coming week. Above is the 2 hour chart of SPY showing a simple abc wave up. 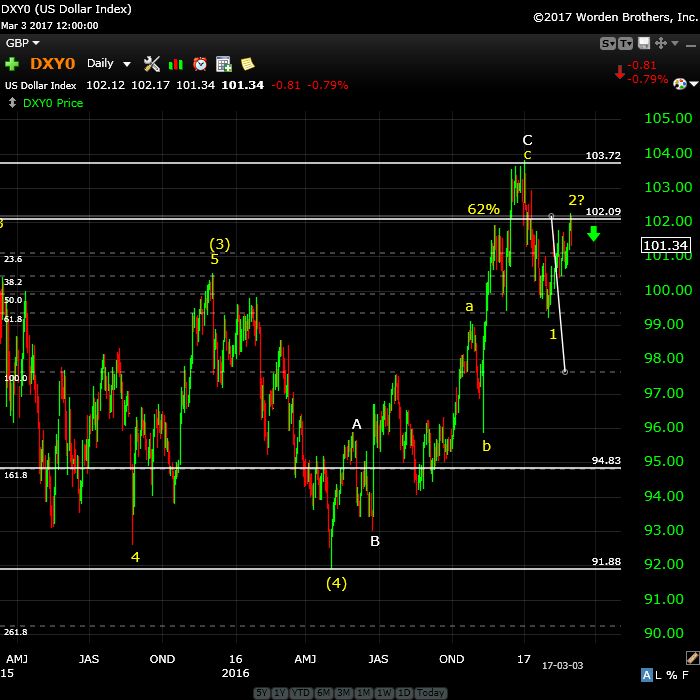 In fact the final wave up also looks like an abc corrective wave. If this final wave up is the same length as the first wave of the fifth (a typical ratio), then we should see a top at about 242.60. The targets for the bottom of the fourth are preliminary and represent a range: 222.73 – 225.91. Above is the daily chart of the US Dollar. 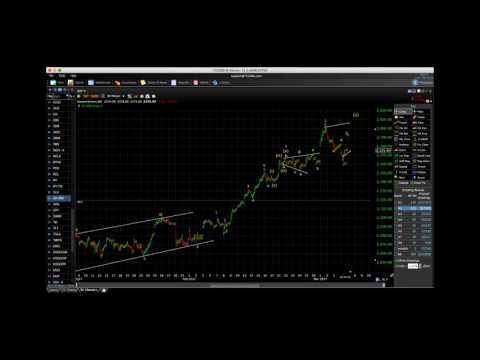 On a near term timeline, wave 2 may be complete. We had a large turn down on Friday and we’ve retraced a little over 62%, so we’re ripe for a turn down. EURUSD also turned down with a first wave that was a “fiver” wave. So the probability is high that we’re now on the way down in a third wave. 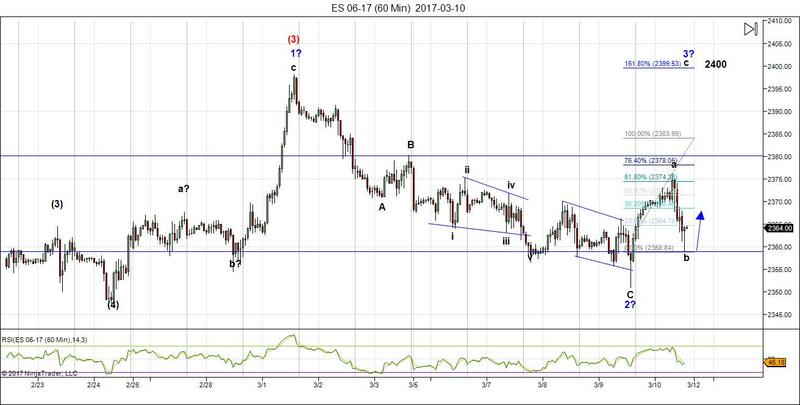 A 1.618 X the first wave, the target for this third wave is somewhere close to 94.83 (shown by the horizontal line on the screen). The movement of the dollar determines to movement of just about everything else these days. Above is the 4 hour chart of EURUSD. The bigger picture is that we’re headed up to a target of 1.13 before we get a turn down into a very large 5th wave. More in the video. 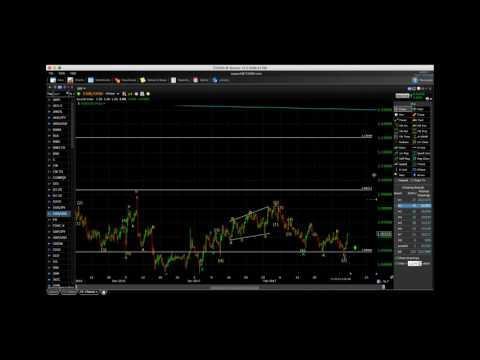 We turned up on Friday from around 1.49 after a double bottom. The wave up began with a small degree five-wave move up, followed by a 3 wave move down, just what you’d want to see after a turn. This helps confirm the move up has legs. Above is the daily chart of USDCAD. We hit the target 1.34 and extended slightly beyond it in an ending diagonal (they usually extend targets). I’m expecting a C (or third) wave down now. The target on the downside is about 1.19, taking it to the area of the previous fourth wave of one lessor degree. Watch for a small 2nd wave bounce in the near term. The horizontal wave shows the probable stopping point for a third wave (at 1.618 X the first wave down) and also at the bottom of the A wave. At that point, we should get a good-sized bounce. 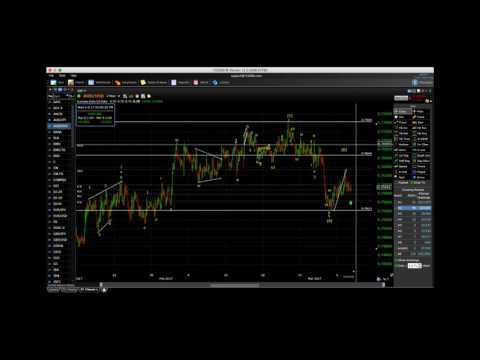 Above is the daily chart of the AUDUSD. This is the bigger picture to my short term projection in the video. I’ve an eventual target of .828 for this pair, which is just shy of the 38% retracement level of the entire larger wave down (from the year 2011), which would make this wave 4. 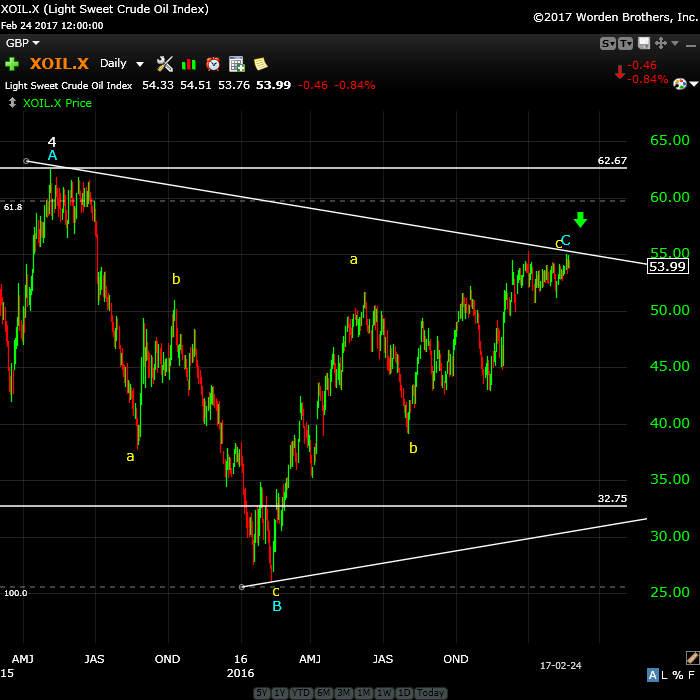 In the shorter term, we should move to the downside target in three waves to approx. .738 before turning up into the larger third wave. So far, we’ve finished the A wave and are now in the B wave. More information for the short term direction is in the video. Above is the 3 day chart of GBPUSD. I was expecting this pair to eventually get back “in sync” and with the turn up at the end of the week, that looks to be the case. I had been looking for a turn at either the 62% level or a double bottom. We got the former. This is the bigger picture (above), calling for a rise to the 1.52 level (or about 62% of the distance from the top of the wave down from about 1.7. More information on the short term prognosis in the video. 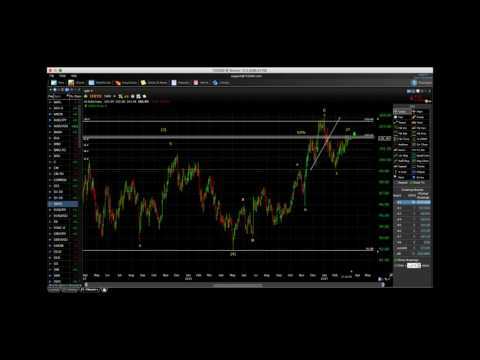 Above is the 3 day chart of USDJPY. We’re in a corrective pattern down and I’m expecting another correction up now to a target of about 118.63 (a double top). Then expect a drop down to the 91.75 area (this would achieve a C wave of the same length as the A wave down (not marked as a C wave, but it’s the one from terminates slightly above 98.12). The 91.75 is the area of the previous 4th wave to one lessor degree, which is where we’d expect this larger bearish wave to end. Above is the daily chart of gold. We’ve completed A wave up, but it looks to me as if it’s a wave four. It looks corrective. I’ve been calling for a double bottom for gold and this is still my preference. The wave up in silver appears even more corrective and they tend to follow each other. The alternative would be a drop down to the 62% area around 1176 or so, but I prefer the double bottom at about 1122. The final upside target is around 1585. Above is the daily chart of WTI oil. Not much new here. We look to be completing a topping process. 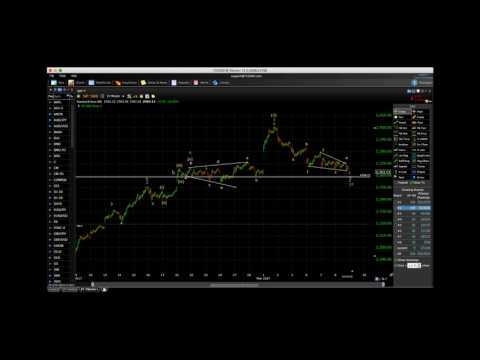 The waves down from the top were in 3 waves (shown in the video) and we look like we might we in a fourth wave triangle. My preference here is for a double top. Once we top, the next move is down to a target of about 33.00 (in 3 waves). Finally, we should get an E wave up to the upper trendline to complete the larger pattern. That would be followed by a final 5th wave down to a new all time low.